X-Bet.co is very easy to use as it uses the most standard layout that most online casinos and sports bookies have. It is also set in a dark background with striking colors and images to contrast the look. Due to many high quality images though, it often lags out the interface if it is trying to display a lot of matches for the games you will try to bet on. Aside from that, it is very easy to navigate and even if it is your first time on the site, you would not have any problems with it. X-Bet is a newly launched gambling platform. They were launched recently, and it has not been a couple of months since their start but they are already pretty big. I have checked their social media account and they are very active in Twitter. They have over 2000 followers on Twitter and have a few followers on Facebook. Their office is based out of London but the gaming license is out of Curacao, which is pretty common in businesses that support bitcoin gambling. There is not a lot of information that can be found on them on the internet, even when searching using Google. 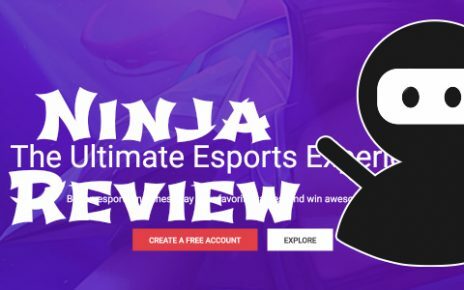 From what I can tell however, they are responsive in their chat support and also are very up to date with the current esports and sporting events globally. There has been no reports of scam accusations and for me that is a good thing as they might have happy customers. This is what sets them apart from other online sportsbookies and casinos. They actually cover all sporting events from boxing, MMA, tennis, football, baseball, motor sports and even ski jumping. Aside from the real life sports, they also offer betting options on esports matches such as Counter Strike, Dota 2, League of Legends, Heroes of the Storm, Starcraft, Starcraft 2 and World of Tanks. If you do not want to place sports bets and want something else, you do not need to go far as they also offer slots, black jack, poker, baccarat, keno and roulette on their online casino. The odds for sports and esports matches are dependent on the teams playing against each other. These odds are displayed on the betting screen and will also display your potential to win on your betslip before you confirm your bets. The casino games they offer pretty much follows standard casino odds. The thing with casino games is that they pretty much always favors the house especially if playing against it in games like Keno, Black Jack, slots and Roulette. 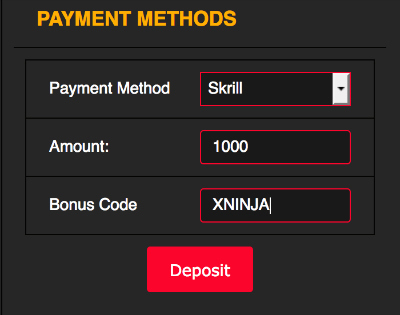 Feel free to use our special X-Bet.co bonus code XNINJA which will give you 100% extra on your first deposit up to 250 EUR for free! You will not find that very gorgeous offer anywhere else online! They also do offer Mystery Jackpots where a random gambler gets awarded the money even if they lose the bet they made. There are three tiers to the Mystery Jackpot, with each tier having a higher amount to win than the other, with Platinum Tier with the highest rewards. The deposit methods they offer are pretty standard and follows what other betting places do. They do accept a wide array of methods with free deposit fees. The methods accepted are major credit cards, Neteller, Skrill, inPay, PaysafeCard, Qiwi, Yandex, Moneta.ru, PayPal and Bitcoin. Credit card deposits limit you to $6000.00 per transaction while other deposit methods are unlimited. Bear in mind however that they do require KYC authentication for withdrawal purposes. Documents needed for KYC authentication are passport or any photo ID, a proof of address like utility bills, bank statements or government issued documents which has your full name and address. These documents should be no older than 6 months if you are submitting them for proof of address. There is another requirement if you used a credit card or a debit card to deposit. You would need to scan the front of your card and send it to them. For your security, they only require the first 6 numbers and the last 4 numbers of the card and you can cover up the middle numbers. They are very quick to respond when you ask questions in their live chat. They have a live chat service that can be found at the bottom right of the page. If live chat is not available since it is not 24/7, you can also contact them by email which is also provided at the contacts page. The response time for emails is 24 to 48 hours but they actually have responded to an email I sent in less than 12 hours. Their customer support is very friendly and also helpful, and I would give them plus points due to the quick response I got from their email ticket system. They are also pretty responsive when talking to them via social media accounts like Twitter and Facebook. If you are going the social media route, I would suggest using Facebook as they have a live chat option in there which will resolve your issues quicker. The interface for mobiles is pretty good as it scales well depending on the device you are using. I did not find any problems with it and in my opinion, it is actually better to browse X-Bet using mobile devices than using a computer as it does not suffer the same lag problems like the web page counterpart. I tested the site using tablets and they are even better than the mobile counterpart. You have a bigger screen, somewhat closer to what their web page looks like if on landscape mode without the lag problems encountered due to them scaling the images down to low resolution GIF’s. I do recommend betting here as this is like a one stop shop for all your gambling needs. 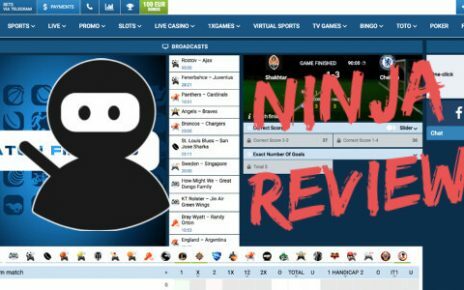 If you are into sports, esports and casino games like me, you would find this site pretty nice to play at. I do recommend you to send KYC documents first so that withdrawal goes off without problems. 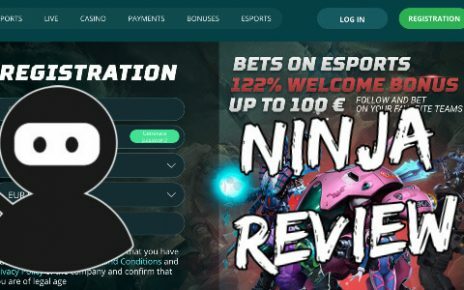 For a new site, they are actually promising and if they continue doing good business, they will become on of the major betting platforms out there. If they can manage to fix the interface, it would be a big step for them as they have very good features on offer and the appeal of the Bitcoin deposit method. X-bet.co is one of the best betting site in sports betting they gave a big bonus for the new player and the admin is very responsive to answer our questions. Go to x-bet.co now and start winnng. Great site, perfect support, 10/10.